A unique tour to the impressive roman ruins of Italica. The most daring tour to the ruins of Itálica. A tour that combines city, countryside and history. This is a unique tour that takes you to the impressive ruins on Italica, the first roman city in Spain. From the city center, we ride the 11 km (6 miles) that separates us from the impressive ruins of Itálica. But don’t worry. 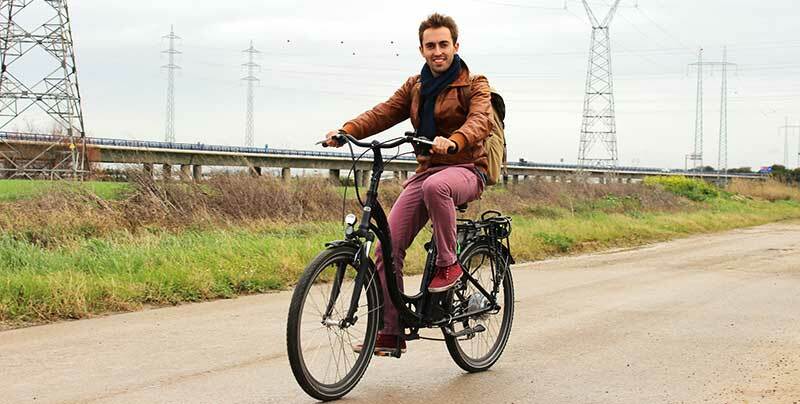 Our electric bikes will make you do this tour in a relaxed and nearly effortless way. We will pass by the area of EXPO ’92, to get outside of the city where we will find country roads from one city to another. Close to Itálica, in Santiponce, you’ll see the majestic monastery of San Isidoro del Campo, from the beginning of the 14th century. It was renovated in 2002 for cultural purposes. When arriving at Itálica, your monitor will walk with you through the old Roman city where you can admire the amazing mosaics and beautiful statues and you will feel like a real gladiator in one of the biggest and most well-known amphitheatres of the Roman Empire. Itálica is for many an unknown treasure, which is really worth visiting. Enjoy this unique tour with ELECMOVE: it’s different, healthy and cultural. Starting Time: Flexible. We don´t operate this tour on Mondays as Itálica ruins are closed. For whom: For the ones that want to get out of the city and combine electric bikes with a cultural experience. Experience (in biking): Intermediate/high. The major parts of the tour will be on country roads. Weekends and holidays: only UNDER RESERVATION.